Disposable cover all suit with hood, boots and elastic wrists. Safety first! 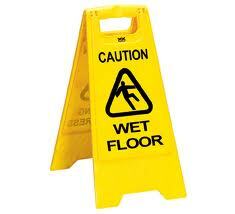 Professional wet floor sign.